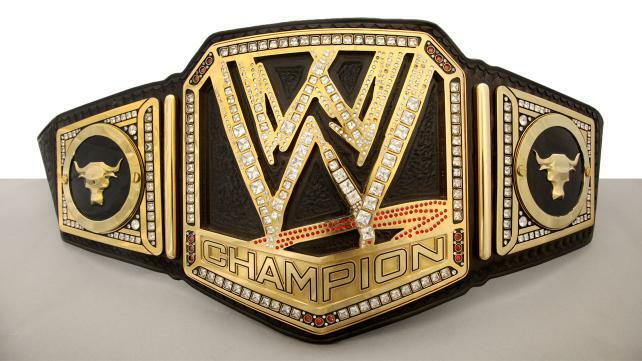 By now, you've probably had a chance to view the new WWE Championship that was unveiled on Monday Night Raw on February 18. There had been talk of a new belt for months, in fact me and my buddies from From the Rafters Radio spoke with belt designer Andrew Lazarchik from Wildcat Belts who confirmed plans were in place. While he knew the process was underway, another company took care of the design. You can read more on the WWE's website. But I digress. I don't hate the design by any means. I actually like it better than the spinner belt. Some fans have pointed out it looks like a championship ring that one can wear around the waist. I tend to agree with that. 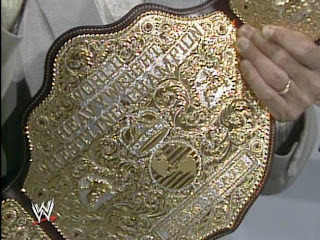 Here's my nit picky comment about the belt, I don't like the personalized Brahma Bull plates on the side of the belt. 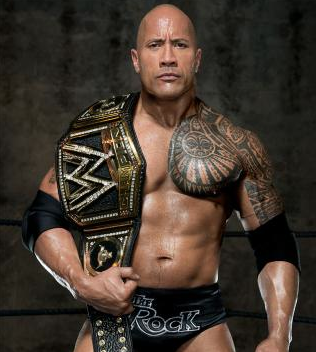 One would assume that they'll either replace it with the WWE logo once the Rock loses it. If not, I don't want to see some sort of symbol from the champion on the belt. I wasn't a big fan of the Smoking Skull belt, the Brahma Bull belt, or Jeff Hardy's customized TNA World title a few years ago. I liked it when things were simple. 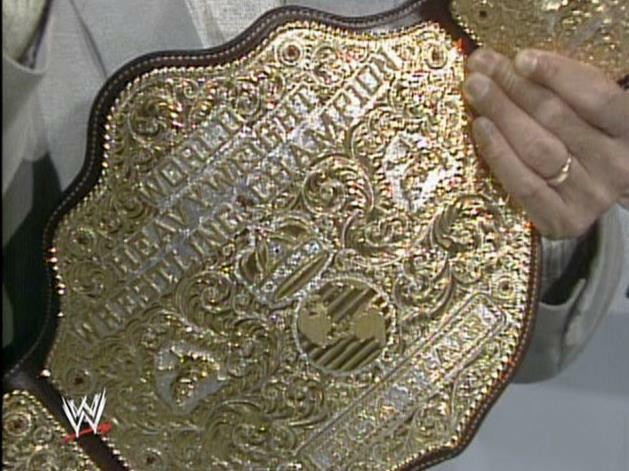 The original title that Hulk Hogan held and even the "Winged" title that Randy Savage won. I'll go so far as to say I'm not crazy about them putting the name on the titles. Back in the NWA/WCW days Ric Flair's big gold belt actually says "Rick Flair." Thanks to Chad for pointing that out. Spelling counts guys. What do you guys think of the new belt? Will the Pepsi logo replace the bull if Punk wins or a bowl of Fruity Pebbles if Cena wins? Just kidding. Weigh on our Facebook page. Will 2013 Be a Breakout Year for TNA?